Move in ready, meticulously kept! Double master two-story townhome in highly sought after Lake Reams Townhome community. This Townhome is like new! Stainless Steel Kitchen Appliances and AC was replaced in 2013. New Interior, Exterioir Paint and Carpet. Kitchen has beautiful 42" Mahogany Cabinets and an Island, Crown Molding in the Dining Room and kitchen, New Laminate Floors in the Kitchen, Dining Room and Living Room. Large understairs closet with plenty of storage. Rear Private Fenced Courtyard is perfect for outdoor entertainment and is joined to the 2 Car Garage. No rear neighbors as this townhome is situated on a conservation. 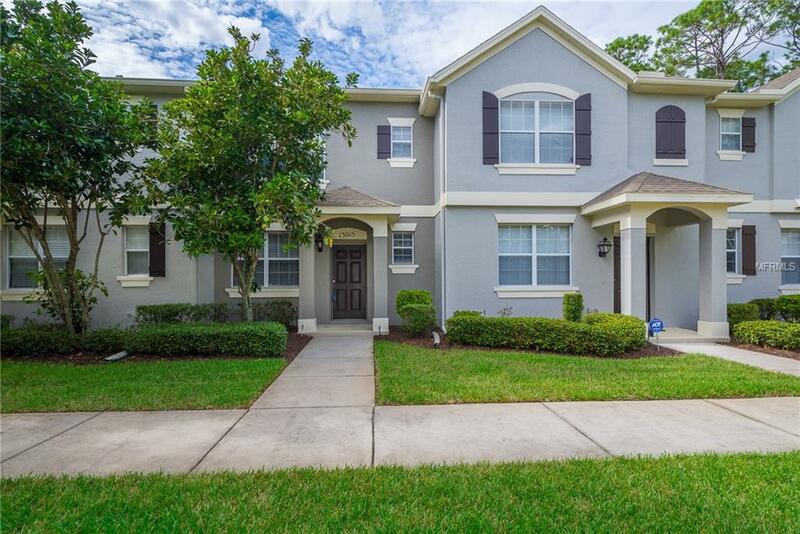 This great Community Provides Residences with a Community Pool, a low monthly HOA, veiws of the Fire Works nightly and the sounds from the Train Whistle at The Magic Kingdom. Conveniently located to Disney World and all of the other Attractions. Close to local shopping and restaurants and major roads. Listing provided courtesy of Re/Max Prime Properties.